Another app that was delayed without reason has launched on the PlayStation Store in Europe today. 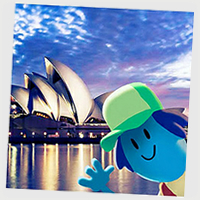 Discovery App Travel Bug is now available to download free from the Store now. The aim of the game is simple: hatch a bug; name it; then send it out on an adventure using near. The first time you start the app, you will see a little larvae sitting on a leaf of your Home Tree. Tap it and it will hatch your first Travel Bug. You can name it and dress it up with items from the bug shop, then it’s time to send it out on its first adventure. Although you start with just one bug, you can then go hunting for others. If you hit sync in the game, you will activate near, which will gather any nearby bugs and pop them in your net. Here you can check out the bugs and decide if you want to help them out on a journey. All of the bugs that you help will appear on spare leaves on your home tree where you can tap on them and find out more about them, and even see if they are on a secret mission. As the Travel Bugs represent other people, you also have to take care of them. Each bug needs feeding to keep it happy (make it very happy and it may give you a secret surprise). If you neglect a bug it will eventually leave and travel back to its owner.